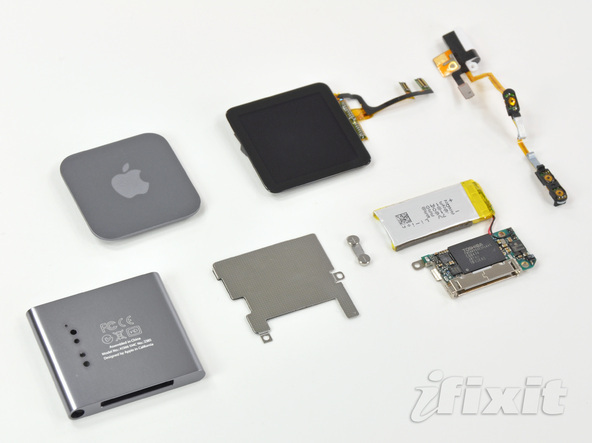 iFixit has taken apart a new iPod nano today. The nano has a multitouch screen in place of a touch wheel and has been made smaller than the previous version. Measurements reveal that the new iPod nano is 67% the size of the previous generation. Getting inside required the use of a heat gun to loosen the glue holding the screen in place. Once that was done it’s just a matter of pulling it apart. Full instructions of the teardown along with all the observations can be found over at iFixit.